Don’t miss a single Pagie in the Tribalstack Tropics area of Yooka-Laylee. 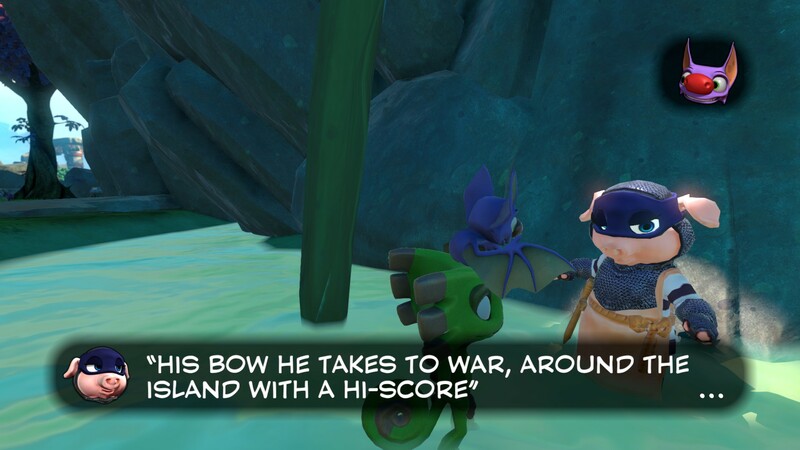 If you’re looking to collect all of the Pagies in the Tribalstack Tropics section of Yooka-Laylee, it definitely helps to know where to look. Not only will you be looking for Pagies, though, but you’ll also be seeking out a colorful cast of characters who will offer up Pagies in exchange for challenges. To help you out, we’ve put together a list of all Pagie locations in the Tribalstack Tropics level of Yooka-Laylee! 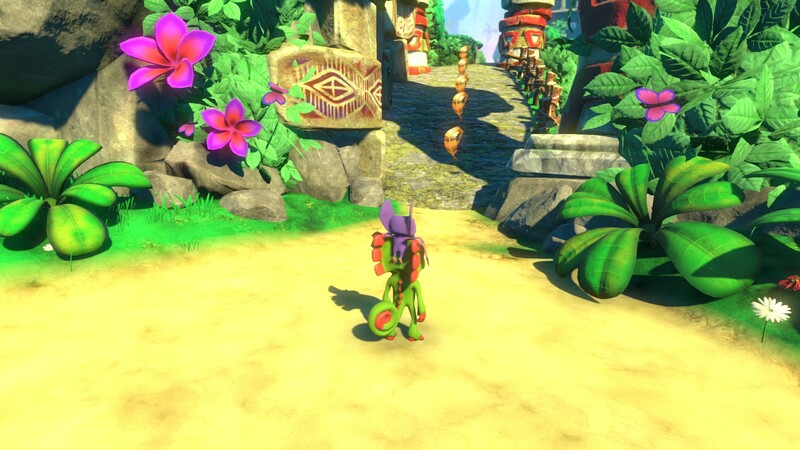 A complete list of all Pagies in the Tribalstack Tropics area of Yooka-Laylee. 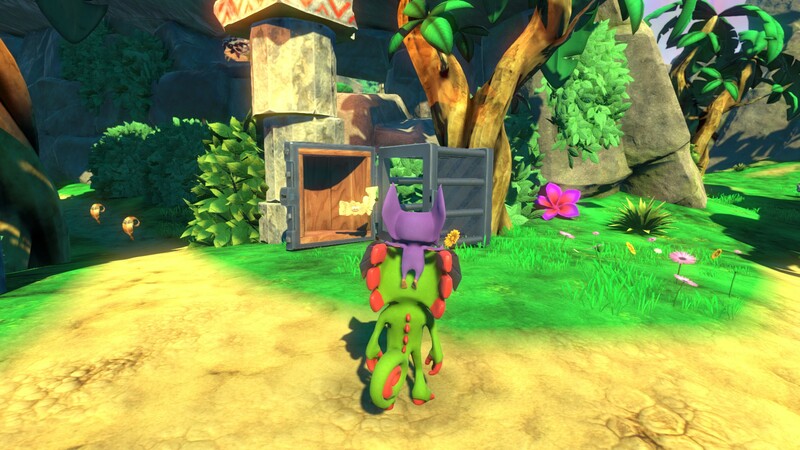 The first Pagie in the Tribalstack Tropics area of Yooka-Laylee can be found to the left of the spawn point floating near an open cage. To collect this Pagie you’ll need to gather the other three pieces in the jungle area behind it. The first piece is in a barrel near Sir Scoffsalot who needs help finding his Knights of Hamalot. The next is over a platform bridge, and the final piece is on the ground near some plants. Collect three missing Pagie pieces to complete and unlock one of the first Pagies in Tribalstack Tropics. Another Pagie can be collected by after purchasing the Buddy Slam move from Trowzer. After learning the move, find the inept robot atop a series of blocks. To collect the Pagie, you’ll need to avoid the inept robot’s gaze and Buddy Slam down on the blocks display behind the robot in the order they’re shown. To the right of the spawn point, you’ll find a Pagie on top of a tower that can be reached after you’ve purchased the Sonar Shot move from Trowzer. Use the Sonar Shot move to awaken the sleeping stone totems and activate the platforms one by one. You will be rewarded a Pagie after saving Clara, the Skeleton Explorer in the area to the right of the spawn point. Use Sonar Shot to awaken the sleeping totems and collect a Pagie. Another Pagie can be found by using the Buddy Slam move on four different breakable tiles at Duke's Temple near where you talk to Trowzer. This will open up light in the shooting gallery down below. Head to the shooting gallery behind Vendi and use your Slurp Shot move to knock down all of the targets. There’s a Pagie that can be collected after you’ve located the Mollycool and given it to Dr. Puzz. After giving it to Dr. Puzz, use the transformation and wander over to the flowers at the back of Tribalstack Tropics. Once you’ve sprayed all six flowers, you’ll be able to collect the Pagie. You can earn a Pagie as a reward by beating Nimble the Cloud around the Tribalstack Tropics racetrack. Beat Rextro's arcade game Kartos Karting to earn a Pagie. 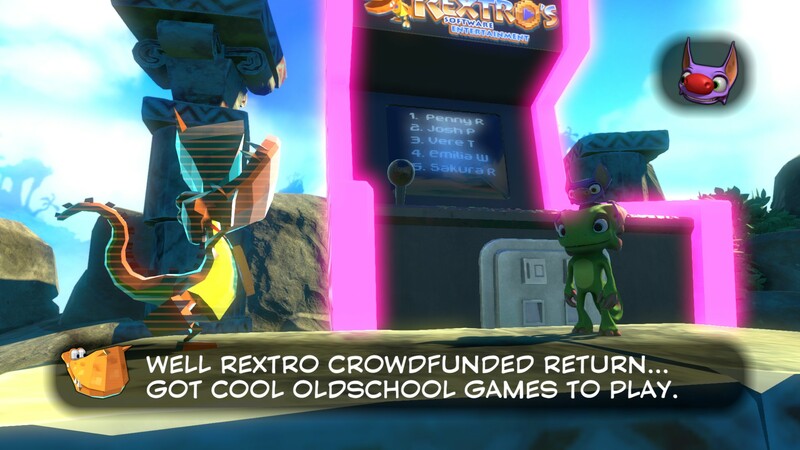 In Nimble’s racetrack, there’s a small entrance off to the left side that hides Rextro’s Play Coin. Collect this, then head up to the top and speak to Rextro in order to unlock the first game, Kartos Karting. Beat the game to earn a Pagie. Beat the top high score on Rextro’s Kartos Karting game to earn another Pagie. 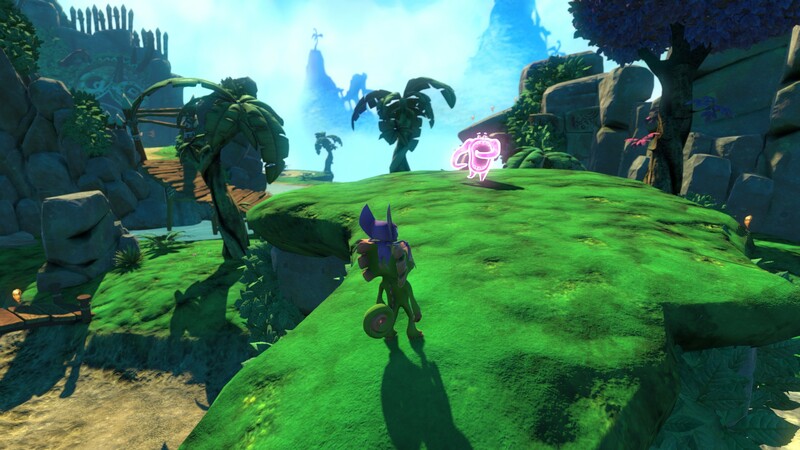 Towards the back of Tribalstack Tropics, a Pagie can be earned by pressing a button and completing a timed obstacle course before the timer runs out. After talking to the Sir Scoffaslot, venture around Tribalstack Tropics and talk to all three of his Knights of Hamalot. Sir Shootsalot is under the entrance bridge to the Corplet Camp, Lady Lootsalot can be found near Rextro, and Lady Leapalot can be found inside Rampo's Castle. To collect the Pagie, head to the left of the starting location through the dry riverbed. There, you’ll find a door below a building near the last pig and the Pagie. You'll find Sir Shootsalot under the ramp that leads up to the area where you saved Clara. You can earn a Pagie in Tribalstack Tropics by talking to Mr. Blowy located atop the Monument at the back area of the level. Climb the monument, talk to Mr. Blowy, use the platform, the water seeds, and then spray water on Mr. Blowy to unlock the Pagie. There’s another Pagie near Mr. Blowy in the opposite direction which can be accessed by using the turning platform. To unlock the Pagie, go through the obstacle course using your Glide move. Follow the rings and beat the timer to unlock the Pagie. You’ll find another Pagie near Kartos the Minecart at the top of the Monument. Ride him around the track, collect all 60 gems, and then unlock the Pagie. You can collect another Pagie after expanding the Tribalstack Tropics Grand Tome. It’s located near the floating building in a cage. 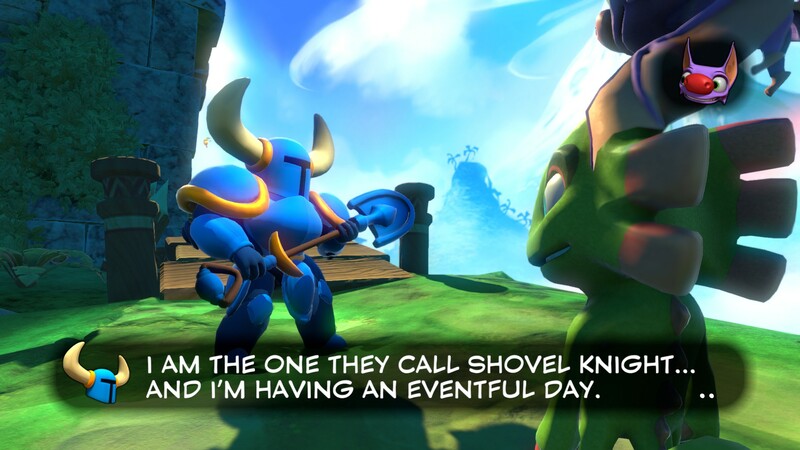 Shovel Knight will reward you with a Pagie once you've helped him find his lost gem. Once you’ve helped Clara, head up the ramp to the right and talk to the Shovel Knight. He’ll ask you for help collecting his gem. To do so, head to the top of the tower, collect the gem, then return to Shovel Knight. He’ll reward you with a Pagie for your troubles. In the area where you meet Trowzer, there’s a Pagie lurking at the very top. You’ll need the Flappy Flight move and Glide move in order to collect this Pagie. At the top, you’ll come across a character named Planker who will ask you to collect some floating trash, one of which is a Pagie. You can find a Pagie near the rear of Tribalstack Tropics but it requires you to know the Bubble Walk move in order to collect it. Use the Bubble Walk move in the water, then Buddy Slam the button to open the trapdoor. There, you’ll find the Pagie stuck flying around, and will need to find the other button underwater then Buddy Slam it to collect the Pagie. You'll need to purchase Slurp State from Trowzer to get past Mr. Blowey's vents. Atop the Monument in Tribalstack Tropics is a cannon. 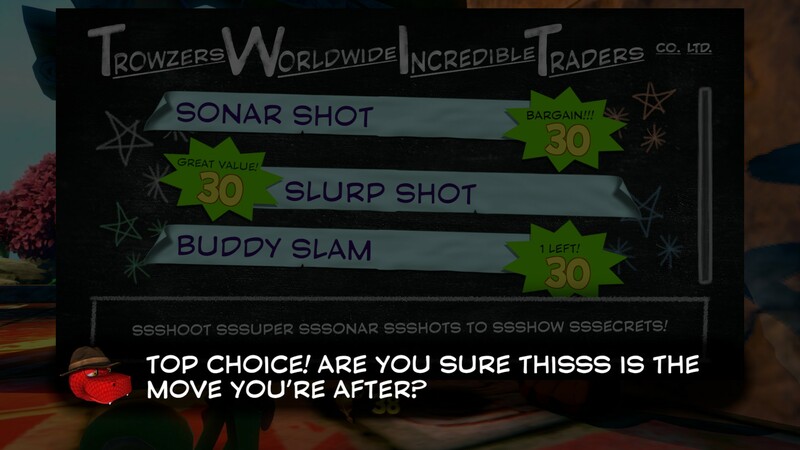 Purchase the Slurp State move from Trowzer then use it to get past Mr. Blowy’s vents. After reaching the cannon, use Buddy Slam on his rear to fire cannonballs at the spinning Mr. Blowys. There’s another Pagie locked under the Monument behind a security camera. You’ll need to purchase the Camo Cloak move in order to bypass the security camera. Once you’ve done this, you’ll come across a maze with inept robots and blockades that must be destroyed using grenades. Head through the maze, at the end you’ll earn a Pagie. 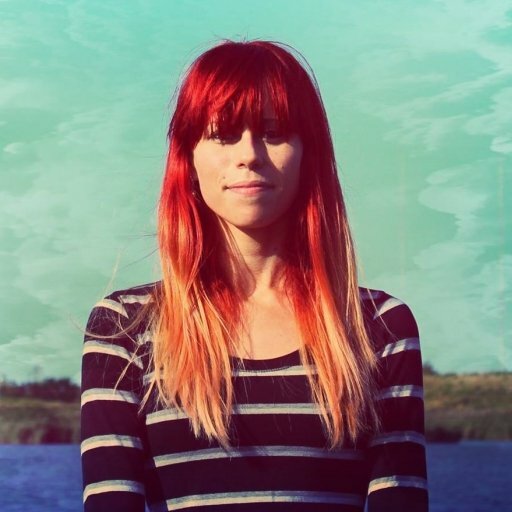 You can earn a second Pagie by racing Nimble the Cloud a second time. To do so, turn the track into ice by heading up the top of the mountain towards the back of the level in order to find a larger cloud named Nimbo. Shoot the water seed at Nimbo to make it rain, then use the ice seed to freeze the water. Collect all five Ghost Writers in Tribalstack Tropics to earn a Pagie. You can earn a Pagie by collecting all five Ghost Writers in Tribalstack Tropics. You can earn another Pagie by collecting all 200 Quills in Tribalstack Tropics. There’s a Pagie halfway up the monument past all of the Mr. Blowys. You’ll need to use your Slurp State move to eat a cannonball, this will make you heavy enough to bypass the Mr. Blowys and reach the Pagie in the cage. Finally, you can earn the last Pagie by expanding the Tribalstack Tropics Grand Tome and defeating the boss, Rampo, atop a large building to the left of your spawn point. There are 25 different Pagies in total located throughout the Tribalstack Tropics level of Yooka-Laylee. Not all of these Pagies can be collected in one go, though, as several require you to purchase new moves from Trowzer. 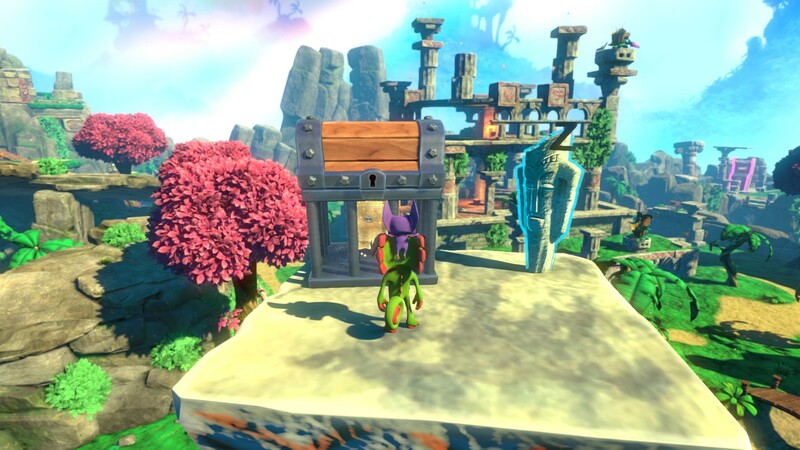 Fortunately, if you read through this guide, you should now know where and how to unlock all Pagies in the Tribalstack Tropics area of Yooka-Laylee!